Sewing machine hard case . This was the first thing I bought and I ordered it on Amazon. 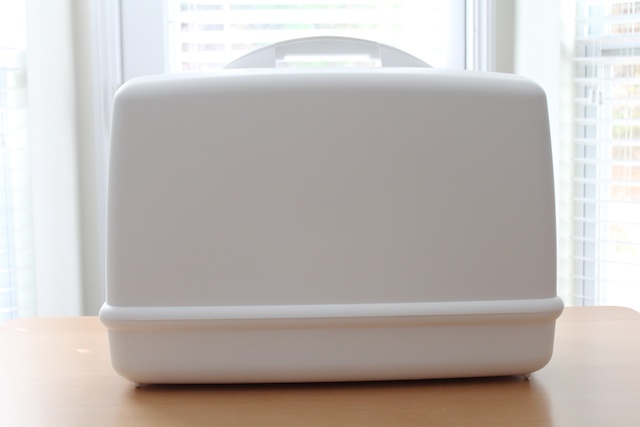 I knew I needed to protect my sewing machine from my children and also from traveling (to sewing classes or sewing dates with friends). And it keeps the machine from getting dusty when its not in use. I have also seen these universal cases in the sewing department of Wal-Mart. Bobbin box and bobbins. To get started on sewing, you need bobbins. And check to see what types of bobbins you need for your machine. There are two main types of bobbins for regular sewing machines (ones where the two sides are flat and ones where the two sides are rounded/curved). Then some specialty machines require special bobbins. So check your user’s manual. Needles. Some machines will come with a pack of needles. But you will want extras just in case it breaks. Many say to change new needles at the beginning of each project. I tend to use them for several projects before switching them out. Check your machine to see what type and size of needles you need. Sewing machine oil . To keep the machine running smoothly you should probably oil your sewing machine every few months or so, depending on how much you use it. Make sure to get sewing machine oil and don’t use household or cooking oils. It may ruin your machine. Check your machine’s manual to see where it needs to be oiled. Ruffler foot. I figured with three girls in our household by the end of this year, it would be wise for me to invest in a ruffler foot. I will be making lots of ruffles in my future. 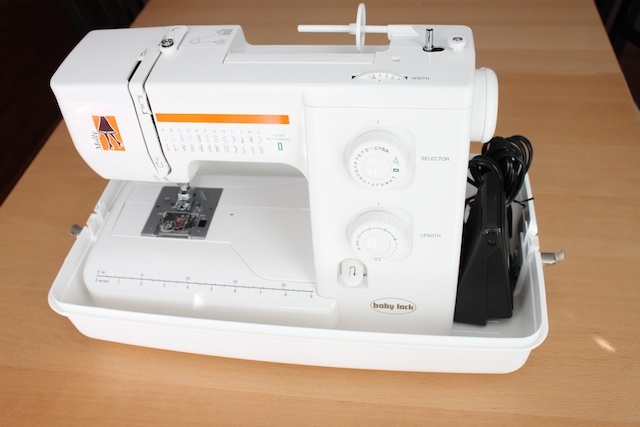 » Tell me… What accessories do you have with your sewing machine? I have to say, I need my SideWinder. Just love being able to quickly get a bobbin ready and not fight that knob on my sewing machine. I love my air in a can! Ok I have no idea what it is called. Haha! But it’s great for cleaning the serger too. Pinking shears. Yes, old school, but without a serger, this is great. I use them all of the time. Also works well to trim seams around curves! I also would love to have the LED light that sticks to the side of the machine. That would be so wonderful! I think these are the basic items that every sewing machine must contain, and if these are not available in the sewing machine itself then your machine is of no use.